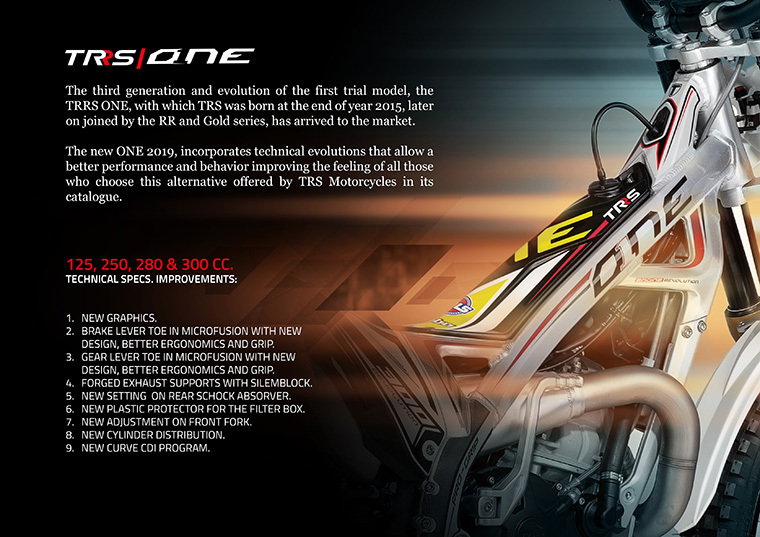 The third generation and evolution of the first trial model, the TRRS ONE, with which TRS was born at the end of year 2015, later on joined by the RR and Gold series, has arrived to the market. 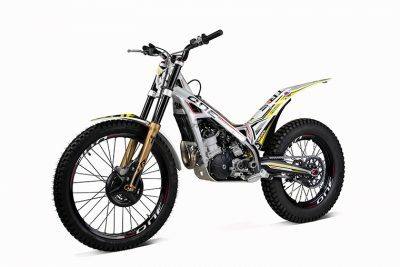 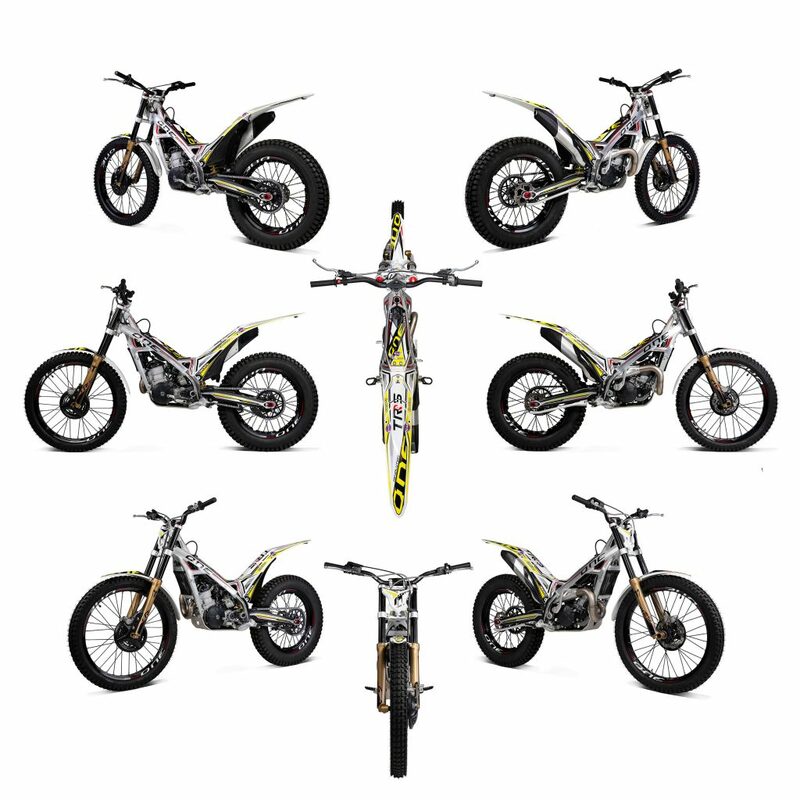 The new TRRS ONE 2019, that will be launched in July this year in four displacements,125, 250, 280 and 300, will continue to be the model with which the brand from Barcelona, manages to reach the vast majority of trial riders, offering the best balance between performance and behaviour with respect to its price. 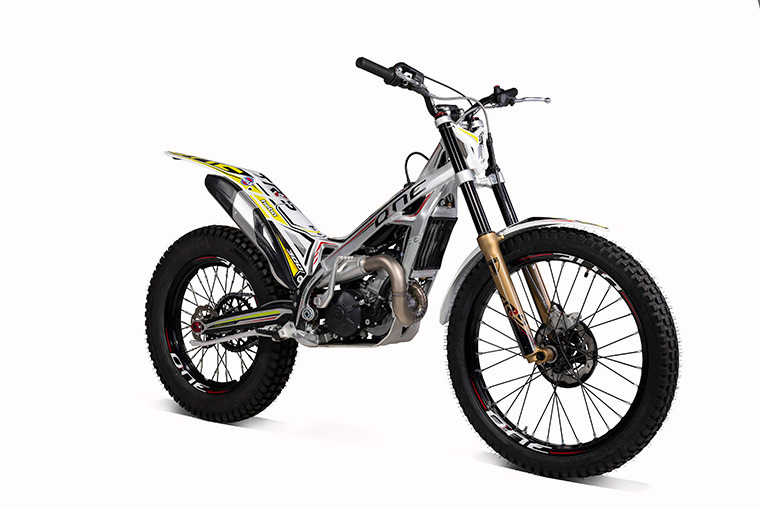 The new ONE 2019, incorporates technical evolutions that allow a better performance and behavior improving the feeling of all those who choose this alternative offered by TRS Motorcycles in its catalog.